When it comes to saving or investing for children there are a number of different options depending on whether you want something tax efficient but rigid or flexible but liable for tax. You can save and invest for your children in a standard account, but there are some slightly bizarre tax rules on this, explained below. Ultimately, these mean that any savings or investment income generated above £100 per year from money derived from either mum or dad is taxed at that parent’s tax rate. Parents can save tax-free for their children up to the age of 18 through a Junior Isa which was launched in November 2011 to replace child trust funds. Every year they have an allowance, it is up to £4,260 for the 2018 tax year. There are also saving and investing plans for children that have fewer age and contribution limits but may charge income tax. Outside a Junior Isa or CTF, the interest on most children’s savings is paid tax-free. But there is a very big stumbling block which means parents and step-parents are restricted on how much they can gift to their child tax-free. We take a look at the ways you can save for your children, how the schemes work and provide tips and guidance. Like a normal Isa, there is a cash and stocks and shares option for the Junior version, but remember, you are not investing for yourself, but for your child who will be able to access the money age 18. Nowithdrawals are allowed until the child’s 18th birthday, except in cases ofdeath or terminal illness. Upon reaching 18 only the child (and no one else) can withdraw the money. Most DIY investing platforms offer a Junior Isa, look for those with low charges that suit how you will invest and that offer any assistance you may need. 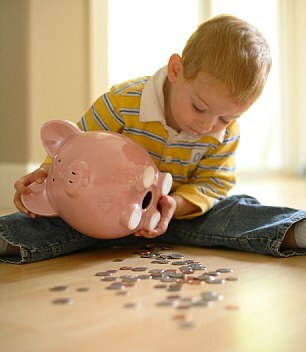 The rates on cash Junior Isas are better than standard savings accounts. A selection of the best is below and you can check all the top Junior Isa and children’s savings rates here. (1) You need to give the society 45 days’ notice if you want to switch out of this account. (2) You lose 90 days’ interest if you transfer out of this account. (3) Preferential rate for children of 123 and Select customers. Do you really want a Junior Isa? Before deciding to save into a Junior Isa or put money into CTF, parents should consider carefully the restrictions. Money put in cannot be taken out until the child is 18 and when they reach that milestone age, their pot is passed to them. Ultimately, beyond bringing parental influence to bear on them, you will not be able to stop them doing what they like with the money when they hit 18. One alternative to a Junior Isa is to simply save into a standard child’s savings account or invest using a standard DIY investing platform account, or even a children’s specific investment plan. This carries tax implications, however, as explained above. Some financial advisers suggest that if you are not using all of your own annual Isa allowance, then you could set aside some of this to invest for your children, holding some funds or a pot earmarked for them within your own DIY investing account. This is a much more viable option now that the Isa allowance is £20,000 a year. Bear in mind though that money retained in your accounts will fall into your estate for inheritance tax purposes. For many there will be plenty of spare capacity for this, but for those who use a lot of their Isa allowance, plan on investing a sizeable sum for their children, or have a number of kids, this may be restrictive. A couple with two children could both have DIY investing Isas and use one of each per child. Underthe child trust fund scheme all babies born on or after 1 September, 2002 received a minimum £250 at birth and will get a similar lump sum when they reach the age of seven. We have successfully campaigned for the government to allow transfers from CTFs to Junior Isas, and following a consultation on the issue, you are now able to move from your CTF to a Jisa. The Junior Isa provider does the anti-money laundering checks electronically and may ask for further proof after the application. Transfers should not take more than 30 days. In most cases CTF savings will be transferred as cash. 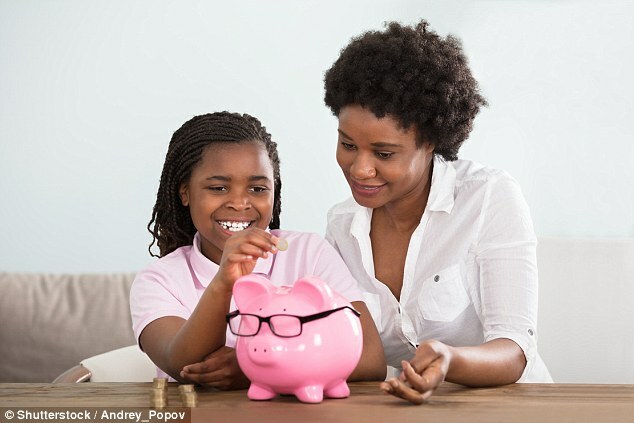 Children can earn money from savings interest and dividends from shares and in theory if it is below the personal allowance of £11,850 they would pay no tax. There is a catch though. Children can only earn up to £100 in interest or dividends a year tax-free on money gifted by their parents or step-parents. If it generates income above this, then tax will be charged at the parent who gifted the money’s tax rate. The parent’s savings allowance, of £1,000 for basic rate taxpayers and £500 for higher rate taxpayers, can be used to cover this but if they have used that up then tax will be charged to them at their tax rate. The idea here is to stop parents salting money away in childrens’ accounts but with a £20,000 annual Isa allowance, £1,000 savings allowance and £2,000 dividend allowance this looks like an even more bizarre anachronism than before. Money given by grandparents and other adults is not subject to this cap. If you do want to invest or save outside of an Isa for children, investment companies, banks and building societies also offer children’s investment and savings plans. These products use a child’s personal tax allowance as an amount they can earn a year before being taxed. Parentsneed to fill out an R85 form – available at every bank – for each children’s account opened so that tax isn’t paid on savings. If tax is mistakenly paid, use an R40 form to claim back. For a longer term investment, you could put money into a children’s investment plan. Aberdeen offers the choice of 16 investment trusts and you can put in a lump sum minimum of £150 per trust or £30 a month per trust. Baillie Gifford provides a range of eight investment trusts. You can invest a lump sum from £100 or make monthly contributions from £25. Both have annual management charges and you will need to pay stamp duty on share purchases. Investing for children is a long-term game, so you can afford to take more risks than you might do with your own money, however, you should still make sure that you don’t put all their eggs in one basket. A global fund invested in shares around the world makes a good core element for a portfolio. A tracker or index fund will follow the global index, while an active fund will try to cherry pick the best companies, which could increase your returns but also the chance the manager could get it wrong or their style fall out of favour. Another option for long-term investing can be found in some of the cheapest investment trusts. Managers here pick shares but offer investments with low fees. For example, dividend stalwart City of London charges 0.42 per cent, global growth high performer Scottish Mortgage charges 0.37 per cent, and bargain hunter Temple Bar charges 0.49 per cent. All have delivered consistent market and sector-beating performance over the medium to long-term.